How do you make your bankroll last longer? 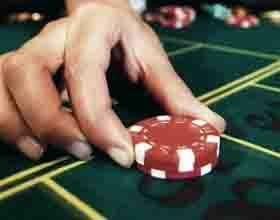 Looking to stretch that dollar and enjoy casino games longer at Palace of Chance? We’ve got 5 big tips you can’t afford to miss. 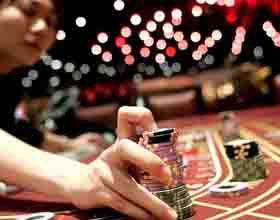 Whether you’re new to the online casino scene or you’ve been playing a long time but seem to be depositing way too often, we’ve got the inside info you need to bet smart. If you’re used to playing at a live casino, this concept is probably completely foreign to you. But online, free games are the real deal, at least when you play with us at Palace of Chance. All it takes is a free account to start enjoying free slots and table games. Even if you’ve already made a deposit, you can still enjoy free games whenever you in the mood to enjoy that adrenaline rush without having to risk real money. This one applies specifically slots, though you can take the same advice and apply it to table games as well. If you’re betting $0.10 per line at the slots and playing a game that has 50 lines, that adds up to $5 per spin. You can still enjoy the same excitement by lowering your bet. By dropping it to a penny per line, you’re still wagering $0.50 per spin and have the opportunity to win a lot. How much money did you just deposit? $50? Perfect. Now how much do you think you should be risking at the slots or tables? $5 per bet? $10? Wrong. The answer is no more than $1 per bet. You should never wager more than 2% of your bankroll if you want your bankroll to last. Obviously you’re here to win, but let’s say you hit a losing streak of 10 straight losses. At $1 per bet, you’d still have 80% of your bankroll left. But if you bet $5, which doesn’t seem like that much, you’d eat through 100% of your bankroll with 10 straight losses. Did you know that you can actually grow your bankroll as you play, even if lady luck doesn’t smile down on you and hand you a big win? It’s true. When you use a deposit bonus code, you can earn bonus funds. Many bonuses come with a playthrough requirement, which means that you need to wager a certain amount of money before the bonus is released. Your wins aren’t tracked. Your losses aren’t tracked. Instead, just your betting amounts are tracked. So as you play, you’ll release those bonus funds and turn them into real money. As you increase your level in our VIP program, you’ll earn a welcome chip. It starts at $250 and each time you move up a level, it grows – all the way up to $500. You move up in the loyalty program simply by making deposits. The more money you’ve deposited over the course of your time with us, the higher you’ll move up in the program. Remember, it’s always free to create an account at Palace of Chance. While playing for money is fun, especially when you win, we recommend always starting with our free games. It gives you a chance to learn the ins and outs of a game and get used to the user interface.